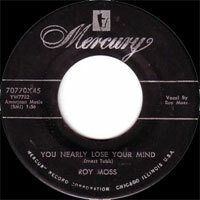 Chanteur Rockabilly US né en Août 1929 à Plainview (Arkansas), Roy Moss fut découvert par Jimmy Skinner qui le fait signer chez Mercury Records en 1956. Un dernier single pour Fascination Records en 1958 et il travaillera avec Pee Wee King, Cowboy Copas et Ray Price, puis devient fermier dans le Tennessee. 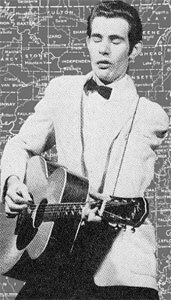 Il fut un chanteur régulier au Jimmy Skinner Show (WNOP, Newport, Kentucky) en 1956. Roy Moss is a lost rockabilly legend of the '50s — he had everything it took to make him as big as Gene Vincent or Carl Perkins, but somehow he never found an audience for his records. 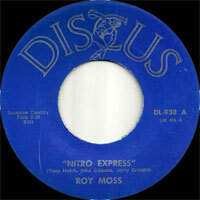 Roy Moss started out in country music just in time to get caught up in rock & roll when it began taking hold in 1954-55. Elvis Presley helped him get onto the Louisiana Hayride during his early days as a new star on that country and rock & roll showcase. 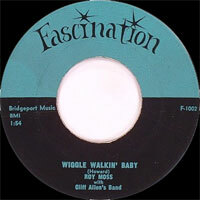 Then a Cincinnati based deejay named Jimmy Skinner got Moss a recording contract in Nashville. The resulting singles were less than stellar in their sales, and Moss remained unknown outside various corners of the South. Moss subsequently worked with country stars like Pee Wee King, Cowboy Copas, and Ray Price, before retiring to make his living as a farmer in Tennessee.